The South African embassy in Zimbabwe is sitting on visa applications by students from as far back as November because of a staff shortage, ZimLive has learnt. Thousands of students, most of them starting their first year, say they have already missed four weeks of learning as the process drags on. The South African chapter of the Zimbabwe National Students Union (Zinasu-SA), in a statement on Thursday, said it had held positive talks with the embassy which had provided some clarity. "The embassy on average has been receiving 120 applications per day (for student visas) from across Zimbabwe," Zinsasu-SA said. "That's an increase of 25 percent from last year. Compounding the problem is that the embassy only has three people dealing with all forms of permits - study, relatives, work, critical skills." Applications made in November would be finalised by February 8, followed by those made in December with applications filed in January set to be finalised by the end of February, the union quoted embassy officials as saying. The union said it has secured assurances that the embassy would prioritise scholarship applications "as much as they can since funding might be pulled". The embassy would also speedy-up applications for those who can demonstrate that they have imminent examinations. "The embassy has sent communication to all universities requesting that they extend registration timelines. The University of Johannesburg extending theirs to February 8, 2019. It is our understanding that all universities must extend registration deadlines for Zimbabwean students," Zinasu-SA added. 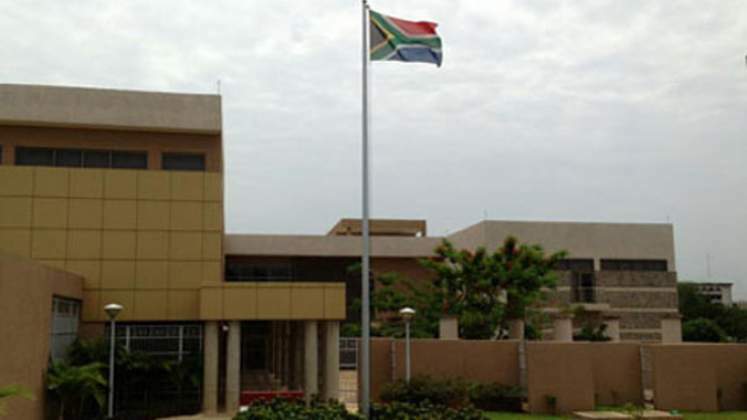 The union said it hoped the engagement with the South African embassy would lay the foundation to solving "long-term systematic problems with the the current visa permit issues." We asked the embassy for a comment but they were yet to respond by the time of publication. This story will be updated with their response when it is received.